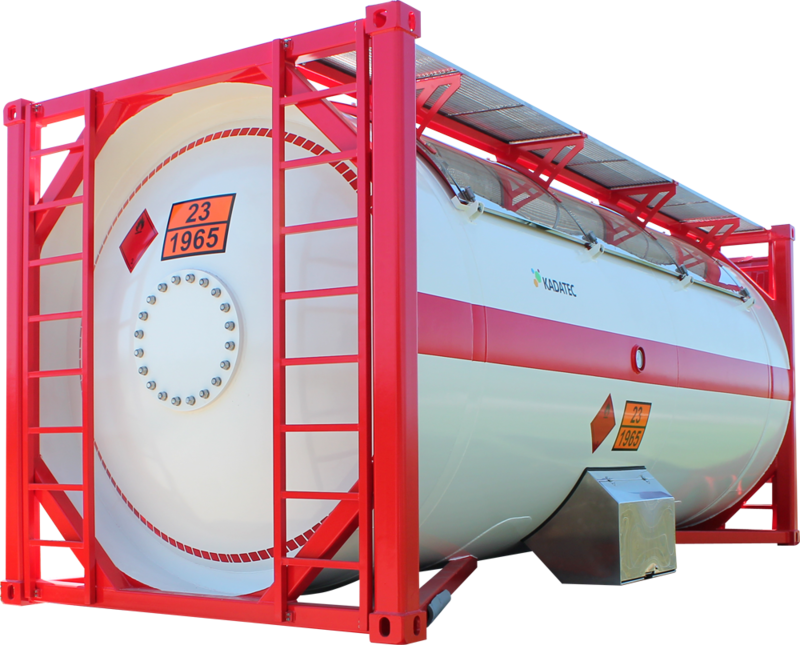 We manufacture ISO tank containers 1CC / 1BB / 1AA, designed for the safe transportation of liquefied petroleum gas (LPG) by road, rail, waterway and maritime transport. Containers can also be used for temporary storage or as an alternative option of backup storage of LPG for different technologies. Tank containers are manufactured and certified according to international standards PED, ISO 1496-3, CSC, IMDG, RID, ADR. The container ensures the complete inviolability and integrity of transported cargo from the seller to the buyer. The container has a solid structure for multiple use. Stainless steel cabinet containing draining and filling mechanisms, safety valves etc. On request, the tank container can be equipped with automatic tracking system GPS or GLONASS.